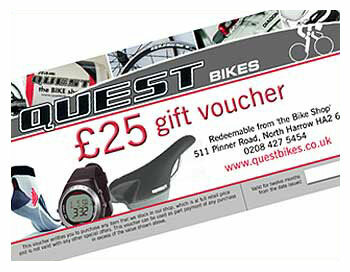 Gift voucher from ourselves to the value of £25 towards any of the products that we sell on our site or at our store. The Flite 1990, forerunner of today's ultra-lightweight saddles, weighed less than 200g. It won more victories than any other Selle Italia saddle with no fewer than 24 "majors" (Tour de France, Giro and Vuelta) and over 950 prestigious international races. 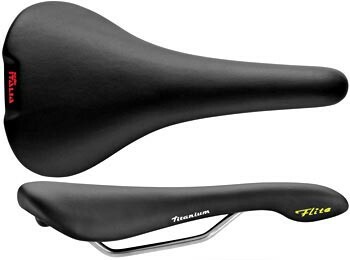 It was the first saddle made with titanium rails and co-moulding technology that incorporated vibration dampening elastomer's. Ultra light carbon seatpost in 350mm length and 27.2mm or 31.6mm diameter suitable for taller riders and compact frames where extra length is required. Stylish seatpost in superlight alloy and an upgrade from our standard seatpostin both finish and weight. 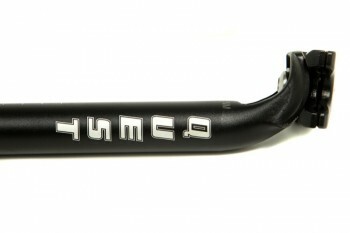 350mm long alloy seatpost with single bolt micro adjustment. 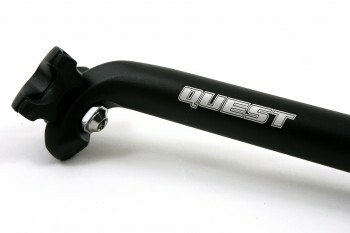 Alloy seatpost with matt black anodised finish and single bolt micro adjustment. Like many premium seatposts, our options are light, comfortable and strong. But riders and coaches desire more, looking to establish the perfect fit. With ideal reach and pedalling efficiency in mind, we offer three setback options from zero to 32mm. Monocoque for stronger construction, two bolt micro adjustment, very light, very nice component. Deep 3D forged for stronger construction, two bolt micro adjustment, high quality alloy. 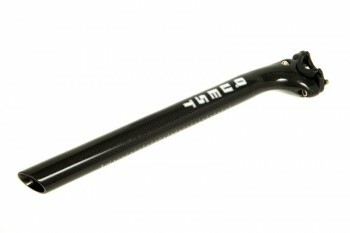 Monocoque carbon fibre seatpost with alloy micro adjust cradle. The oversize Neo Carbo seatpost is provided with a 6061 T6 forged aluminium head with the particular C of Cinelli engraved on the front. The pillar is a multilayer Carbon fibre structure with a top layer of 3K plain fabric. The 2 bolts allow a perfect adjustment of the saddle position. 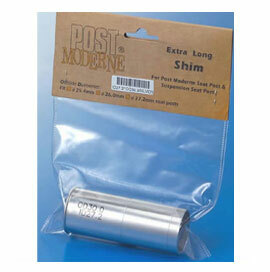 Alloy shims to fit either 25.4mm or 27.2mm seatposts that will then fit a range of different seat tube sizes. Copyright ©2013. The Bike Shop Limited. All rights reserved. Web Partner: Butler Systems Design Ltd.